This page has been created to help children to stay safe on the internet. Internet safety is taught through the Computing curriculum, PSHE lessons and an annual Internet Safety Day. Internet safety is an important part of learning at Cherry Tree Primary school and it is important that parents are aware of how they can assist with internet safety. This page will provide information on keeping safe for children and parents. To highlight this year's national Child Sexual Exploitation Awareness Day (Monday 18th March), the Essex Safeguarding Children Board are launchin the Parents, Did You Know? campaign, with the aim of encouraging parents and carers to better understand child exploitation (CE), knowing the signs, and where to go to get help and support for both them and their children. Through the following links you will find the Essex Safeguarding Children website, and a media pack to serve as a social media toolkit. There are a week's worth of activities (Monday 18th - Sunday 24th March); each day focusses on a theme relating to child exploitation. We have become aware of a new challenge to internet safety that seems to be currently sweeping through the country. The Momo Challenge is a scary picture of a woman that challenges the children to carry out different tasks. These tasks progressively worsen, ultimately resulting in encouraging the children to commit suicide. This is being spread through multiple platforms including fortnite, WhatsApp, youtube and social media platforms. We have also had reports that there is an app for this game available to download on Android and ios. After receiving numerous reports of our children and families becoming concerned around this, we decided to discuss this with our KS2 children. They have been shown the picture and the dangers have been discussed. We have purposely not told the children the name of the challenge in the hope that this would limit their ability to actively search for the challenge and would appreciate you supporting this stance to further protect our children. Our KS1 staff have also been made aware so that they can monitor their children. When discussing the challenge, a surprising number of children already knew of it. We have advised the children to talk to an adult at home if they have any further concerns around this. However, understandably, the children's main reason for feeling reluctant to tell an adult is that they are worried they will be told off and may lose their devices or internet access. For those of you who attended the 2 Johns workshop, you will be aware that this is the opposite reaction to their guidance. If the children are worried about the consequences of seeing this app after trying to use the internet appropriately, they will not be open with you in the future, leaving them at risk. If your child approaches you about this, please praise them for being sensible enough to tell you and help them to report the page/site they are visiting. This guidance came as a shock to us at first but hopefully you can see how this positive communication with your child will build an environment at home where the children feel they can confide in you. If you have any further concerns around this or any other internet safety matter, the 2 Johns are a very good place to find extra information. Their facebook page can be found by searching for 'EST E Safety Training' where regular updates, including advice around this challenge, can be found. Essex police have launched an anti-CSE campaign with lots of useful information for parents. Given the many risks facing children and young adults today, the information here is well worth reading. To mark Child Sexual Exploitation (CSE) Awareness Day (18th March) the Essex, Southend and Thurrock Safeguarding Childrens Boards in partnership with Essex Police have re-launched the I Didn't Know campaign, this year focusing on online safety awareness and youth produced sexual imagery. Online abuse is present in over 60% of all cases of child sexual exploitation investigated by Essex Police, making the need for online safety education a priority. Highlight the risks to children from online threats. Provide tips to parents on what they can do to keep their child safe online. Advise parents on what to do if they have concerns. Support children to use their phones and other devices safely, responsibly and positively. Advise children on what to do if they are worried about something they have seen or have been asked to do online. Vodafone’s Digital Parenting magazine includes articles and advice from experts to help keep young people safe in the digital world. It also has advice on how to set up a safe online environment at home, monitoring the children’s use of the internet and highlighting some dangers of technology for young people. 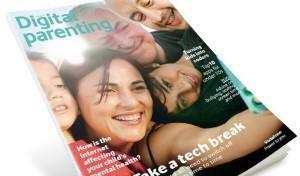 Click on the magazine below to access the digital parenting magazine and further information. We are aware that most of our pupils have access to the internet at home. This can make it difficult to protect children as they begin to explore the uses of the internet. Social media sites, as well as communication functions within online gaming, make it tempting for children to socialise over the internet including people who they do not know. Although this is something regularly discussed in school, it is vital parents are aware of the specific dangers of the internet and continually monitor the children’s usage. Technology supplements lessons at Cherry Tree Primary School, but we are also aware of the risks which we assess as part of our lesson planning. Our school has strict filters provided by our Internet Service Provider to reduce the risk of children being able to use websites deemed to be unfit for children to use. Even with these filters in place, the internet is an ever-changing environment the filter cannot guarantee the children’s safety. For this reason, children are supervised when using the internet during the school day. Below are guides to help you stay safe on some popular social network sites. Each guide also has related websites to explore for further help. 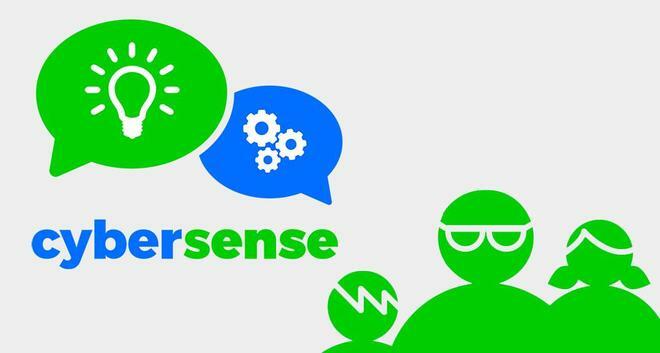 CyberSense is a new app designed to help parents talk about e-safety issues with their children to ensure that they make smart choices to stay safe online. Click on the picture below to find out more information. Children and young people spend an average of 12 hours a week online and it becomes part of their routine early on in life. That's why it's important to start talking to your child about keeping safe online at an early age. It's easier to have conversations about online safety little and often, rather than trying to cover everything at once. As your children get older, and technology changes, make sure you keep talking about what they're doing online and how to stay safe. Ask your child to show you their favourite things to do online, and show an interest in what they do - just like you would offline. This will give you a much better idea of what they're getting up to. And it gives you a way to support and encourage them while learning what they know. Children don't think of people they've met online through social networking and online games as strangers, they're just online friends. Explain to your child that it's easy for people to lie about themselves online, like their age, for example, because you have never met them. Agree your child will 'friend' a trusted adult on their social networks or online games. You could also become 'friends' with your child so you can see their profile and posts but your child may not want to 'friend' you, especially as they get older. Agree that your child can 'friend' a trusted adult like an aunt or uncle so they can let you know if they see anything worrying on your child's profile. how to treat people online and not post anything they wouldn't say face-to-face. You know your child best, so check that the websites, social networks and games they're using are suitable for them. Check that your browser's homepage (the page that you see when you open an internet window) is set to a website that you're happy for your child to see. Online games, movies and some websites will also have an age rating or minimum age to sign up. Age limits are there to keep children safe. So you shouldn't feel pressured into letting your child sign up or use websites that you feel they are too young for. Software packages are available - some for free - that can help you filter, restrict or monitor what your child can see online. Remember that if your child goes online away from home, the same controls might not be in place at other people's houses or on public Wi-Fi. Agree with your child how they will use public Wi-Fi or let other parents know what your child is or isn't allowed to do online. Check the privacy settings on any online accounts your child has, like Facebook or games, and remind them to keep their personal information private. And talk to your child about what to do if they see content or are contacted by someone that worries or upsets them. Make sure they know how to use tools to report abuse. If you see something that makes you unhappy on the internet or think you are being bullied online, you can use the CEOP button to report the incident. Remember, Childline are available at all times to help you with your concerns. If anything happens on the internet that makes you unhappy you must tell an adult. If you are finding this hard, childline can advise you. This is a free call and will not show on your phone bill. 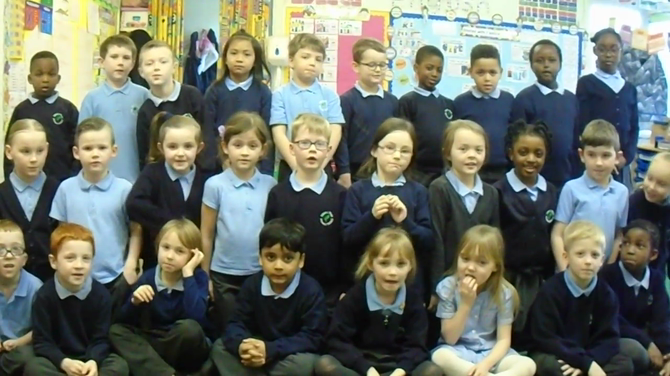 At Cherry Tree Primary school we think before we click. What this means is we really think about the impact each post has, whether this is on social media, youtube or any other internet sites. Year 2, how can we remember to think before we click? WORK TO BE UPLOADED SOON! Some of us completed a diamond 9 activity. Here is one of the examples from year 6. The most important rule is at the top, and the least important at the bottom. Do you agree with their opinion? For more information, and to find videos and activities on internet safety, please go on the Safer Internet website. We're great at preparing kids for their offline life, telling them not to talk to strangers, showing them how to cross the road or teaching them to ride a bike. Many parents have less confidence in preparing them for their online life and the risks that may be invloved. O2 and the NSPCC have joined forces to help all parents and families in the UK explore and understand the internet. As kids know it. From emojis and memes to Snapchat stories and Reddit, having regular conversations with your children about their online habits is the best way to encourage them the use the internet safely.